Last year I bought a Polaroid XS100 Extreme Edition camera. Specifically I wanted something for timelapse without having to set up my much-larger digital camera rig, that I could also use for some bike-mounted video projects I’m working on (again my regular camera would have been too big and bulky). The XS100 had the added benefits of being waterproof up to 30ft/10m without any additional casing, fairly robust (I suspect dustproof to a large degree), with a nice barrel-shaped body (the main selling point for me, really). It uses microSD and can record in 1080p, and of course the primary cause for my purchase was its native ability to do timelapse at 5, 10, 30, or 60 second intervals. Great! The reviews read well, and the image and video quality I spied by other consumers seemed good, especially for the price. I was a fan of Polaroid and wanted to get behind them competing with GoPro and other assumed top-dogs of the “sports action” market, even though I’m as far from extreme kayaking as can be and videos like this nearly make me want to vomit. I want the camera for art. The attachment options and the barrel shape were ideal. The barrel means it can ‘slot’ into places if need be, with only the lens needing to be clear of obstruction to get the shot you need; this can be make-or-break in some of the projects I’ve done and plan to do in the future. And I was able to purchase the camera for considerably less than MSRP. Score! Oh man. This can only be a sign of things to come, and was it ever. 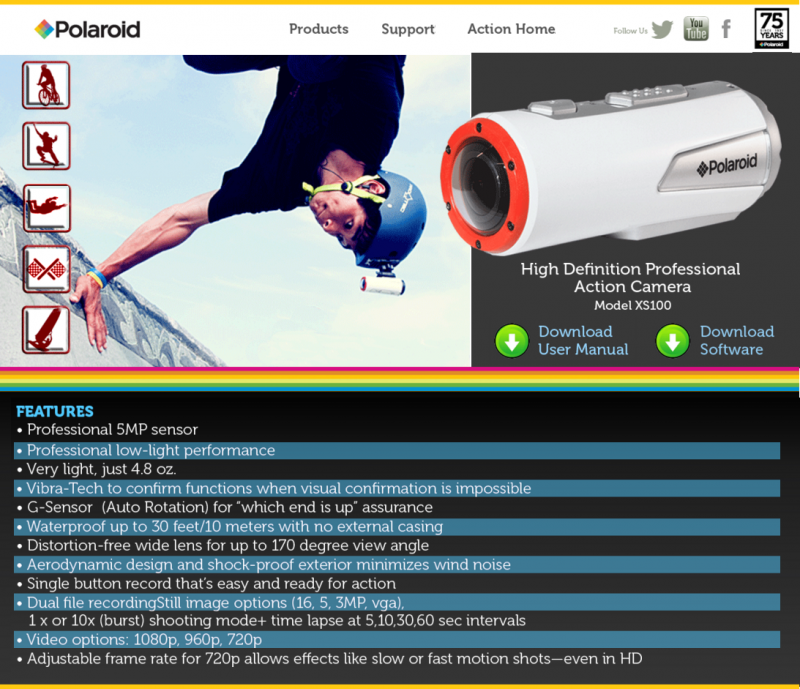 Clearly these things are sold as “action” cameras and timelapse is counter-thetical to action. And whereas all the options are big bubbly buttons, the timelapse setting is a window that you can type anything into, even letters, or numbers that don’t correspond with the camera’s options – like 7. But it was 2015 – they’ve figured this stuff out by now, right? 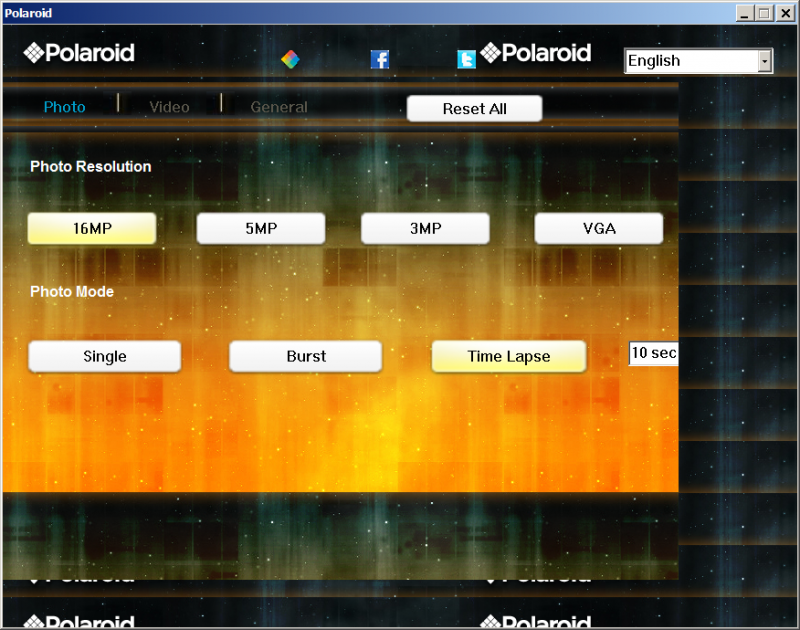 Try, just try, to change the timelapse setting! I’m writing this blog as much to inform you about what works as I am to remind myself with what doesn’t work! They basically quoted me something from a software troubleshooting manual, and never actually used the camera themselves. Bogus. OK so thank you timcortesi for figuring out the setting’s settings, but now I need to figure out the sequence. Editing the file is easy, but in what order? What I mean is: if you take the microSD card out of the camera and edit the file, save it back to the card, then re-insert the card in the camera, the settings do not update! Once again this makes me furious! 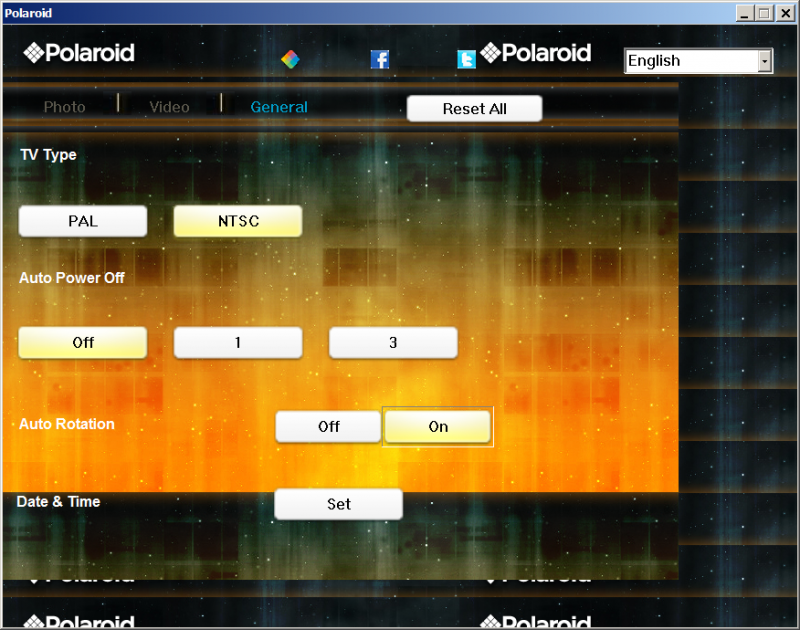 OK so try updating the file with the card in the camera, but do you open the software before or after (to confirm)? Even today, I haven’t figured out what the physical ‘reset’ button on the back of the camera’s panel even does! Believe you me, most things won’t work, and you’ll be pulling your hair out trying to find a working method. And now for the solution! 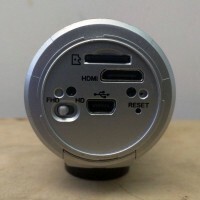 Plug the USB cable into the computer, then into the camera (so the power indicator light is either red (charging) or green (charged)). Hold down the ‘camera’ button so the camera powers up, and mounts to your PC. Open your file manager, and right click the PolaroidConfigFile and open with your preferred text editor (I use Notepad++). Edit the settings you want to change, using the Reddit thread as a template to guide you through the process. With the file manager closed or still open, simply unplug the camera from the USB cable; do NOT launch the Polaroid.exe file to confirm the changes! I’ve spent well over an hour trying every possible plug-this-then-that edit-now launch-then and this is the only method I’ve found that works with my laptop. A beautiful camera, great images, even fun, but man what a terrible software experience – to the point where I’ll inquire about the look and feel of software GUIs from companies like Polaroid in the future before even considering a purchase from them. I’ve been pulling my hair out on this, too. It saves things like the resolution of your still photos just fine. But not the time lapse. 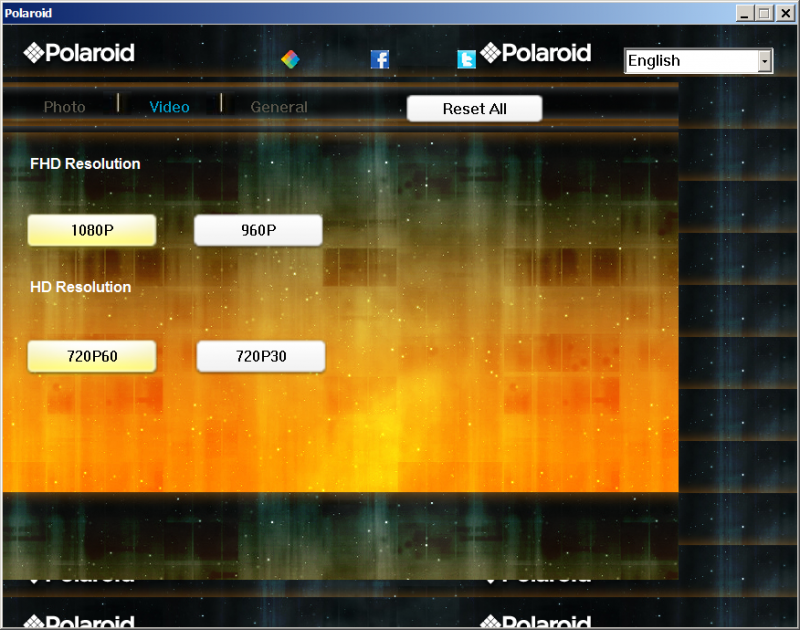 Just mind-boggling that a company like Polaroid which apparently STILL SELLING THIS CAMERA hasn’t fixed this. I took a time lapse (bird feeder on my deck, trying to catch the culprit that is making such a mess) and thought I had it set to every 60… nope, the default of 5. GRRRRR! The other weird thing is, last summer I did a pass over trail ridge road in RMNP … and the video seems jerky. Not sure what’s up there … now I just tried playing it back on my new laptop with VLC player and it looked much better. Well it did. Then I let Movie and TV player open one (default) and though it still plays BETTER with VLC player, the jerkiness is back. So … something with the codec and windows? I don’t get it. I feel your frustration – clearly I do. I hope these notes help you – I myself reference my own notes every time I get stuck with this device. It’s actually a nice design, nice angle, nice lens, but the software, ughhhhhh!! At least with something every 5 instead of every 60 seconds you can delete the excess frames; it’s worse when you think you’re taking every 5 and it only records every 60. Fail! I’m not sure about the jerkiness – I oddly don’t use this device for actual video, just timelapse; I have a Polaroid cube I use for video; I’m not a Polaroid fan or dedicated consumer, but both devices have fit my niche needs and were cost-effective. Anyway hope the step-by-step helps you!